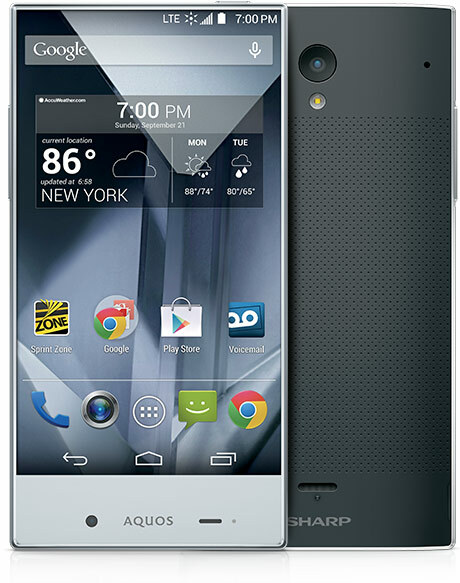 Sharp Aquos Crystal is a mid ranged ultimately stylish phone with moderate performance. The Aesthetic value of this phone is too high as you will never dare to think about other features. Sharp Corporation of Japan is not so unfamiliar to the electronic world. They have a very good reputation in bringing quality home appliances. Sharp mobiles are something strange to the gadget lovers. It is always hard for the new companies to step into the mobile market. Especially when the big players like Apple, Samsung, Nokia etc. engaged in furious competition. Low price with more features is the strategy followed by the small players now a days. Sharp Aquos Crystal is the latest low priced model introduced by the Sharp mobiles to the market. Let’s see how well they managed to step in to the market with this product. The Aquos crystal is definitely a low cost device which costs $149 brought in by Sharp mobiles after a long interval. The first thing that attracts to this phone is not only the low price but also the catchy design. This device can be considered as a synonym for the word stylish. The phone design is completely Bazel-free. You can see the fine edges that makes it look like a boundary less screen. Another thing that I have noticed is the excellent grip. This phone is comparatively smaller than many devices with same specifications. The 5-inch display with smaller size is a good quality. People are surely going to ask you about the phone when they see it in your hand. We can surely say that the boundary less screen effect is too perfect. The gadget consist of plastic black which not so friendly with the finger prints. I couldn’t find any reason to believe that the appearance of this device will fade. The phone will remain as an evergreen piece with the excellent build quality. You might have seen something similar to this device in the Hollywood movies. The devices with completely dynamic touchscreen are usual in many sci-fi movies. The lack of big Bezel edges gives it a look something similar to the movie prototype. Why I am trying to stress about the looks is the next thing. Because it is the only extra ordinary feature that I have noticed with the phone. Still the unique design has created some complexities as well. The unnatural positioning of the front camera created some trouble when I took a selfie using the front camera. The front camera and LED notification is placed on the bottom part rather than the conventional forehead position. How about taking an upside selfie. It is definitely going to be a crazy experience for you. I couldn’t find the earpiece at the top as usual. I came to know that they have introduced a digital wave receiver. Wherever you place your ear on the phone you can listen to the caller. The incoming calls are crystal clear as its name suggests. Another thing unacceptable is the battery type. It can’t be replaced. Will tell you about the battery backup later which is a long story! Of course like most of the mid ranged phones, you need to remove the back cover to find the microSD port and SIM card slot. Much performance can’t be expected from the single speaker on the backside. The microUSB port at the bottom, volume adjustment key on the left side and headphone jack on the top makes it a little closer to the conventional way of designing smartphones. I have to say Aquos Crystal got a very decent 5-inch display with 720p resolution. The all screen effect is too wonderful with the pixel density of 294 ppi. Many of the mid ranged smartphones available today cannot credit this to their account. Another thing that I have noticed is the perfect contrast and saturation combination. The combination of different perspective angles make it good choice as far as the display is concerned. Gaming and videos are very much enhanced with the modification on the design. You will be amused when you watch an HD video or high graphics game on this screen. Display seems to be flawless within the thin border. Another phone with the mid-range specification that’s what I can say now. The underlying hardware is not much exciting to the gadget lovers. They haven’t introduced any amazing innovations which can be considered as a golden feather to their crown. 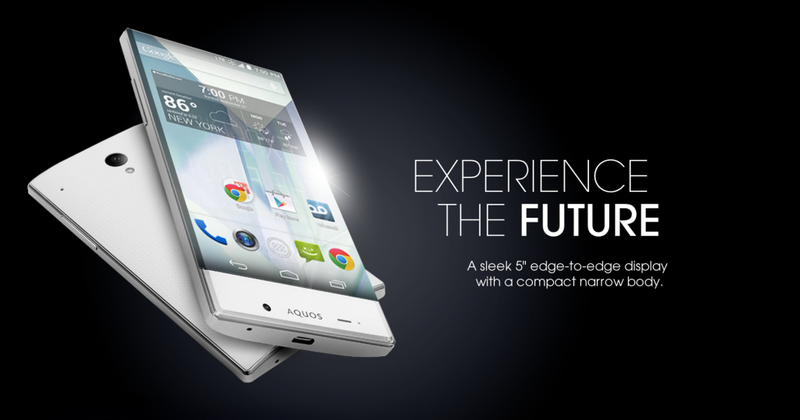 Of course Aquos Crystal consist of a quad core-Qualcomm Snapdragon 400 processor with a speed range of 1.2 GHz. Very common Adreno 305 GPU is the brain of this smartphone. 1.5 GB of RAM is provided with the phone which is a decent choice. But what I think is a company like Sharp should have brought in a better specification to compete with other big players. It is clear that when you are able to buy a similar phone from a reputed company. Many of us won’t give much attention to the new players. 8GB of internal storage is available with the phone and is expandable to 128 GB via microSD cards. No one can find any fault about the design and specification of the phone. The flawless touchscreen is fun to handle. I couldn’t find any lag during swiping, texting etc. Also browsing was a decent experience. I won’t recommend Aquos Crystal as a good multitasker. When the RAM usage is above 85% you will feel lag on the performance considerably and heavy downfall with the video performance. Moreover it is a quad core device. I have to say the performance of the processor is not up to the mark. I have promised you earlier about story of battery performance. They have an irreplaceable battery with a batter capacity of 2040 mAh. Many of the phones under the same range has something better in this case. You can’t survive one full day with this phone if you need to use internet. Battery drain during Wi-fi is something serious. People always expect good battery backup as they don’t want any inconvenience from their favorite companion now a days. The Aquos Crystal is in competition with the prominent devices like Galaxy S3, LG Volt, HTC Desire 510 etc. So a slight fault has to pay big price. The Aquos Crystal consists of an 8MP rear camera and a 1.2 front camera is not a bad feature. The rear camera is enabled with the LED flash as well. You got lot of various functions and options available with the camera software. This includes HDR and Panorama. You can manually adjust ISO and exposure according to your choice and also automatic adjustments are possible with modes like food, portraits objects etc. With this small camera you will be disappointed to the image quality. Sharp needs to work hard on their camera technology in the future. You need to go 2 years back to see this type of quality. Present day customers and are not expecting such untidy photos from their phone. Low light photography is even worse as the presence of noise is too high. Even though there is HDR mode. You will not dare to take HDR photos with the phone. Please download any good image editor as you need adjust brightness and other important factors occasionally. The phone comes with the Android 4.4 Kitkat with some sharp utilities and additions which includes Frame effect, clip now etc. Also an exciting alarm app is available with the device which makes the screen flash in an attractive manner. The screen will glow around the edges when we turn on the phone. This is so elegant and with the design features it enhances the overall looks of the phone. Yes, The Bezel less design helped Aquos Crystal this time too. Android have introduced their latest OS ‘Lollipop’ recently and the users can consider this when you buy a new phone. The phone supports the latest 4G connectivity. Lack of proximity sensor to switch of the display during a phone call. 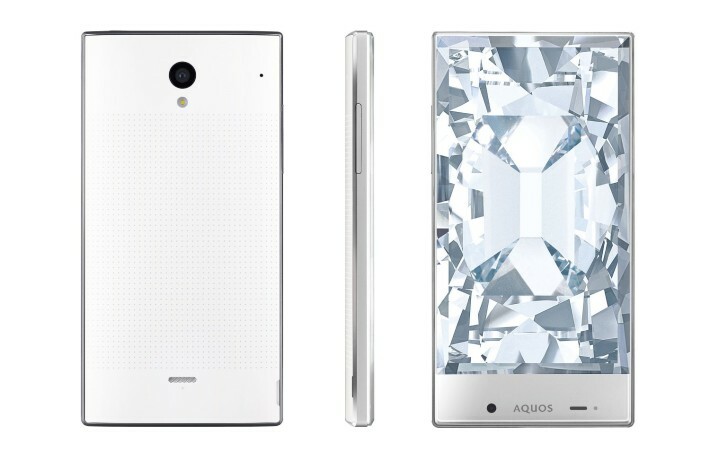 With a price range of $150 Sharp Aquos Crystal has so much to offer. You can’t imagine about such a stylish phone with this price range. The phone will face immense competition as it is a mid-ranged device. If Sharp can improve their performance quality by keeping their aesthetic sense. They have their share in the market for sure. I can say Sharp mobiles has the potential to compete with any big player in the market without any hesitation.